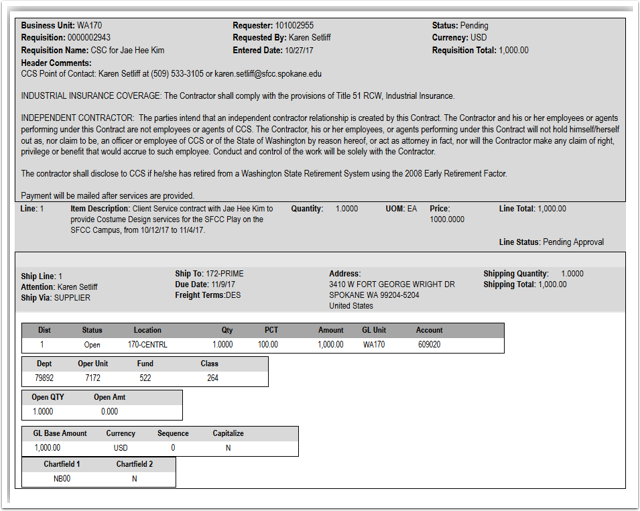 Purpose: Process to print requisitions using ctcLink's Employee Self Service module. If you are the requester of a requisition, you may use the Employee Self-Service area in ctcLink to print your requisitions. Input the requisition parameters in the Requisition Search tab. Select View Print from Action drop down box. Make selection to print requisitions details Yes/No. Enter keyboard combination Ctrl+P to bring up print options and make appropriate selection, then Print. You have successfully printed your requisition.